Kristian J.F. Bornemann is a real estate attorney who focuses on commercial real estate and structured finance with an emphasis on transactions in the commercial mortgage-backed securities (CMBS) market. 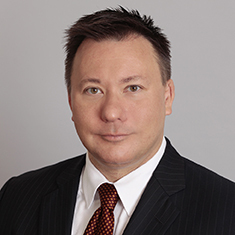 Kris has represented investment and commercial banks, life companies and mortgage bankers in all aspects of commercial mortgage lending and servicing matters, including new loan originations (securitized and portfolio), assumptions, permitted and non-permitted equity transfers, modifications, consents, forbearance, and workouts. Kris also is experienced in the purchase and sale of various types of loans, loan portfolios and loan servicing rights. Earlier in his career, Kris worked for a CMBS master servicer, where he acquired servicing portfolios and negotiated pooling and servicing agreements. Shown below is a selection of Kristian J.F.’s engagements.